Let’s start our understanding of customer journey mapping by first understanding what is meant by the “customer’s journey”. There are a number of limitations of customer satisfaction in terms of relying too heavily on this marketing metric. It is, therefore, important to understand the various limitations in order to utilize the results of CSat research/scores appropriately. 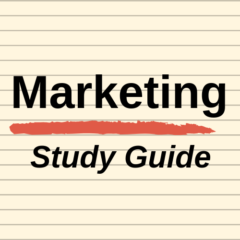 Service marketing is a different subject in university and/or the different chapter in a marketing textbook because there are distinct challenges in marketing services as opposed to marketing physical products (goods). When you study services marketing as part of your business degree, you quickly learn that services represent 70 – 80% of gross domestic product in most developed countries. Why are retailers classified as service firms? When you study services marketing at University, you will learn that there are some unique challenges that service firms and industries face. What’s the Difference between Services Marketing and Customer Service? What’s the Difference between Service Quality and Customer Satisfaction? Is Pursuing High Customer Satisfaction Worthwhile? The relationship between high customer satisfaction, leading to increased customer retention (loyalty), resulting in increased long-term profitability is generally well supported by academic research and commercial practice.